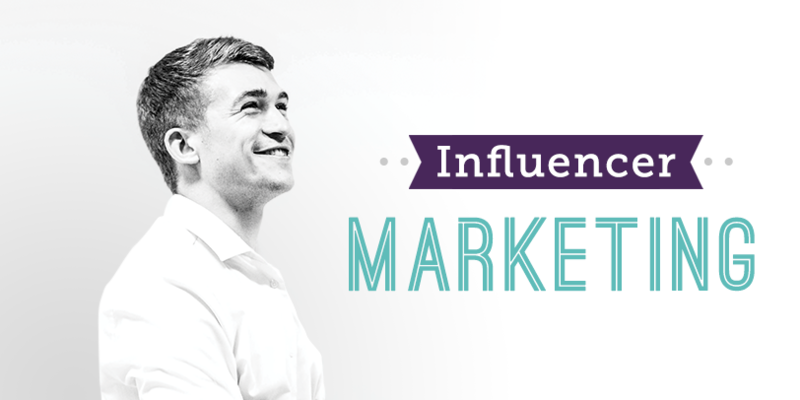 What is influencer marketing and how does it work in B2B? Lee Odden from TopRank Marketing (who presented a great keynote speech at B2B Ignite last month) defines influencer marketing as ‘the practice of engaging and collaborating with internal and industry experts that have active networks to help achieve measurable business goals’. We’ve all heard (constantly) how the B2B buying journey has changed and continues to change with ever-greater numbers of influencers and channels involved in making a purchase decision. But one key point remains constant, that any B2B buying decision is an emotional one. Buyers (especially big ticket ones) need to be confident that your product or service is going to do the job, particularly if they’ve spent months creating a business case for investment and getting everyone on board. By collaborating with influential players in your space, you can reap great rewards. By identifying the right influencers in your market, their power can often yield much better performance than the Zoella’s and Jenner’s out there. An easy place to start is to look internally. Who within your business might be a potential advocate? Do you have a socially advanced and well connected board member? Are your sales teams great advocates with a far reaching (but relevant!) following? If so, use them. If you’re looking outside of your business, then there are a number of different influencer marketing platforms to take a look at. Traackr, Tapinfluence and Onlaytica being just some of many. How can you measure your influencer marketing programme? In Lee Odden’s definition, there’s two very important words, ‘active’ and ‘measurable’. Yes, it goes without saying that your chosen influencers must be active and well-positioned in their industry, but measurability is key and often the hardest part of. Before you start jumping onto Twitter and frantically searching hashtags for influencers, you need to think about your KPIs. Instead of focusing on non-specifics such as ‘increase awareness’ think about measurable metrics such as ‘increasing content downloads by x%’, ‘generate x video views in Q2’ or ‘generate x SQLs’. Importantly, ensure your goals relate to your audience preferences, but also those of your chosen influencers. Make use of tracking pixels and UTM codes so you can track the full customer journey from initial engagement through to SQL and beyond via your Google Analytics or Marketing Automation Platform. *Frantically adds ‘write attribution blog article’ on to-do list. Of course, we’d love to talk to you about your B2B influencer activity, but before you go, here’s some great examples of B2B influencer marketing in Entrepreneur collated by Murray Newlands to take a look at.